Versa/Deck platform trucks are used in warehouses, workshops, commercial buildings, and lots of other venues throughout the world. Purchase a new 24-inch x 48-inch Versa/Deck flatbed cart platform truck here at OnlineSafetyDepot.com. SKU: LS-R90184A1412AM Categories: Facilities Safety, Platform Trucks Tags: flatbed cart, platform truck, versa deck Brands: Akro-Mils. Versa/Deck industrial platform trucks have decks that are made of non-skid structural foam and reinforced steel decks. 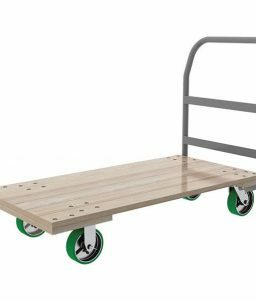 These flatbed carts are perfect for transporting wood, drywall, industrial products, and lots of other large items that need to be moved inside of a warehouse or in various other settings. 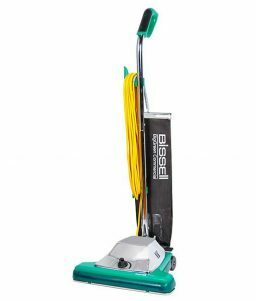 This platform trucks is extremely versatile and durable. 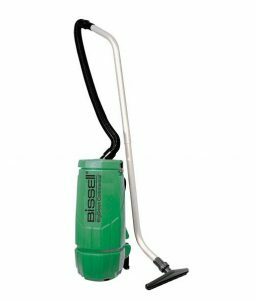 The powder-coated handle finish and non-skid steel decks are easy to clean, and they resist most chemicals and other causes of damage and weathering. 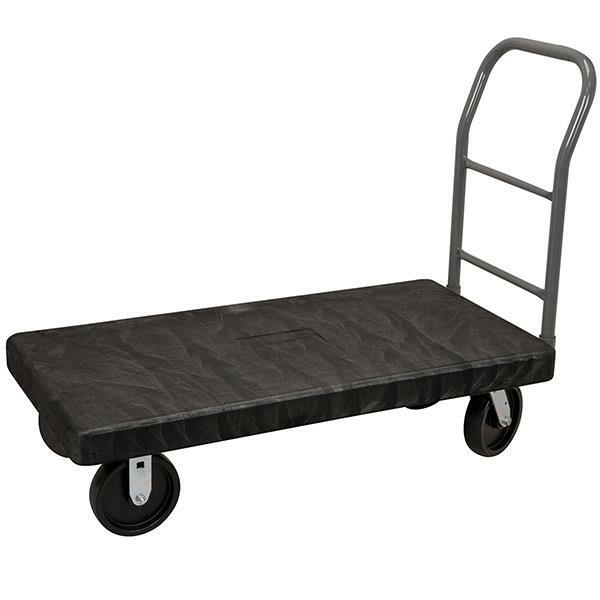 This flatbed cart has deck dimensions: 24-inch x 48-inch. 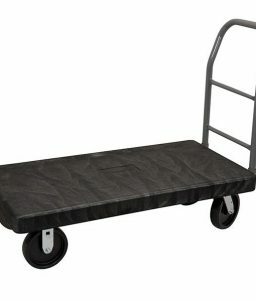 OnlineSafetyDepot.com also carries a larger Versa/Deck platform truck with deck size 30in x 60in. This platform truck comes with 8″ polyolefin casters and crossbar handles. It also has four convenient tie-down points for securing loads while they are in transit. Use the Versa/Deck Style A Platform Truck flatbed cart to carry up to 2000 pounds of capacity. The Versa/Deck system is extremely versatile, with up to 70 different configurations available. Let us know if you need help determining exactly how to outfit your warehouse, office space, or other setup with platform trucks that work for you. Versa/Deck is a brand of Agro-Mils one of the leading manufacturers of industrial storage, transportation and organization products. 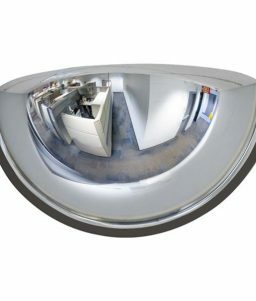 Purchase Ago-Mils products with confidence from OnlineSafetyDepot.com.